Track the history of every employee's role as it changes throughout their time at the company. You can enter historical role data as well as schedule changes to go into effective in the future for things like promotions. Enter comments for each role change so you have context over time. 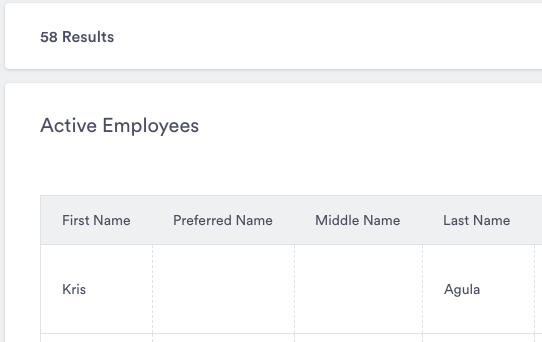 To support more flexible pay options and improve the user experience, Collage now lets you track compensation by defining an employee's Pay Rate and Pay Frequency. Table based reports now show the number of results and all results are now displayed in the table so you no longer need to export. Report on exact number of hours taken off by employees within a time range. Use this report for updating your payroll. Report on all time off requests approved, rejected or pending. Allow new hires to get a feel for the company's structure. You can also export for printing and use in meetings. 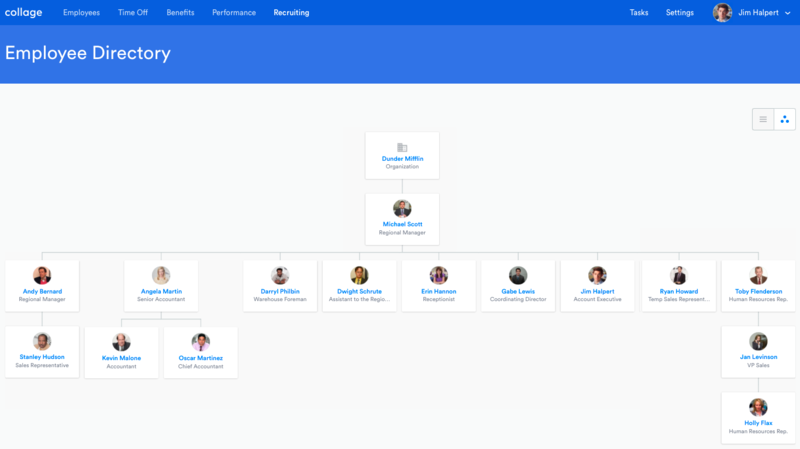 To access the org chart, click the hierarchy icon on the right side of the Employee Directory.